Have you ever have one of those tasting experiences that leaves you feeling light, energetic, happy & humbled? We were just in Piemonte harvesting grapes for our third vintage of our Felice wine. A wine we first made in 2009 from healthy nebbiolo grapes without any additions during the wine making process or bottling. 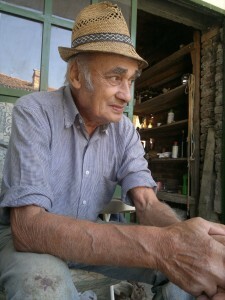 After our harvest, we come back to the Felice homestead to return his crates, the ones we used to gather our grapes in. 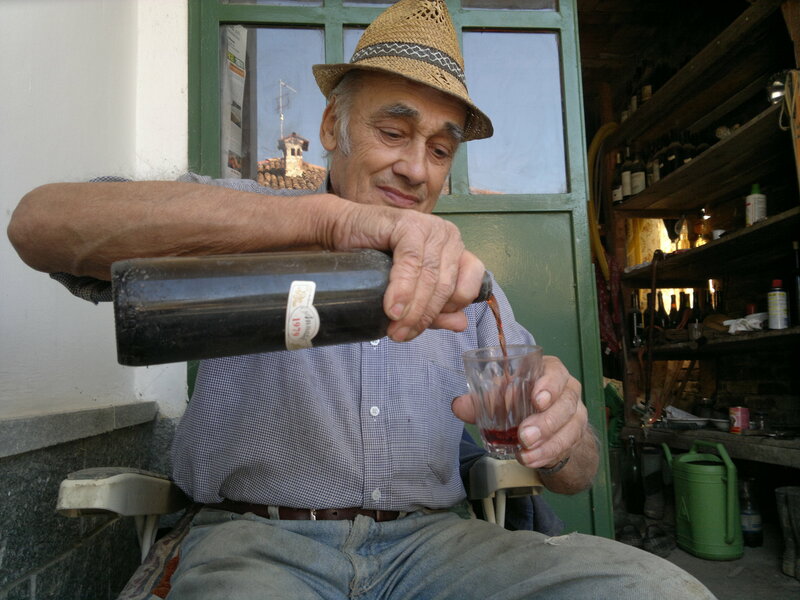 As we get set to leave, Felice comes towards us with a bottle of the last vintage of his nebbiolo that he was to make, a 2006. We sit down to taste, then drink. We are stunned, but not surprised, by the pureness of his unlabeled wine. We ask him questions, he responds modestly. Back to 2011. It’s been about 30 years since he bottled that 1979. Felice doesn’t add anything to his grapes. At all. 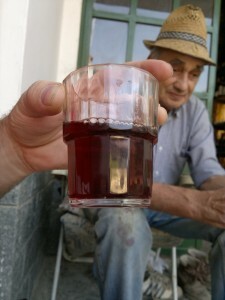 What Felice does is make great wine. Honest wine. Transparent wine. 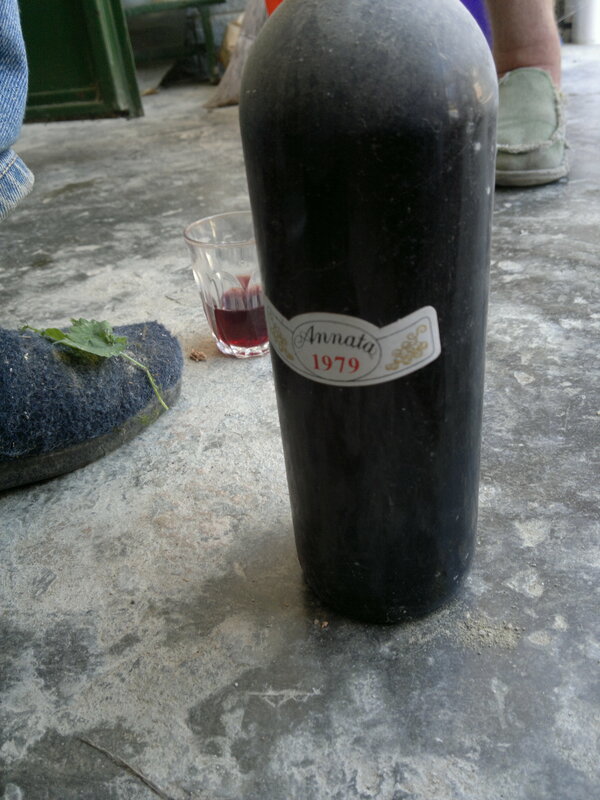 A wine that after 30 years of standing alongside other bottles and being subjected to sunlight and varying temperatures, was supreme. Yes we were in Piemonte. Yes it was a beautiful day. 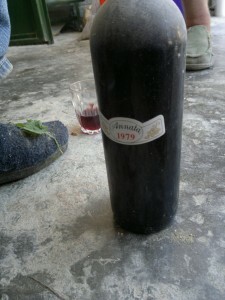 Yes we were drinking a 30 year old wine. And still, the wine was supreme. You said it wasn’t possible. Well it was, it is and it will be. Certified organic Catarratto grapes grown with the help of biodynamic preparations at an altitude of about 600 meters above sea level. Grapes are harvested by hand and brought immediately to the winery where they are gently crushed and left to ferment spontaneously. The skins are left to macerate with the juices for about 30 days in open oak vats without temperature control and without the addition of sulfur. Punching down the cap is done by hand 3 times a day, followed by a soft pressing in a manual press. Maturation in 2500 litter botti (oak barrels) for just under a year. Bottled without filtration and without the addition of sulfur, of course. Appearance: Dark orange-amber with brownish reflexes (which increase with time in the glass). Shows a bit more age than the 3 years would indicate. 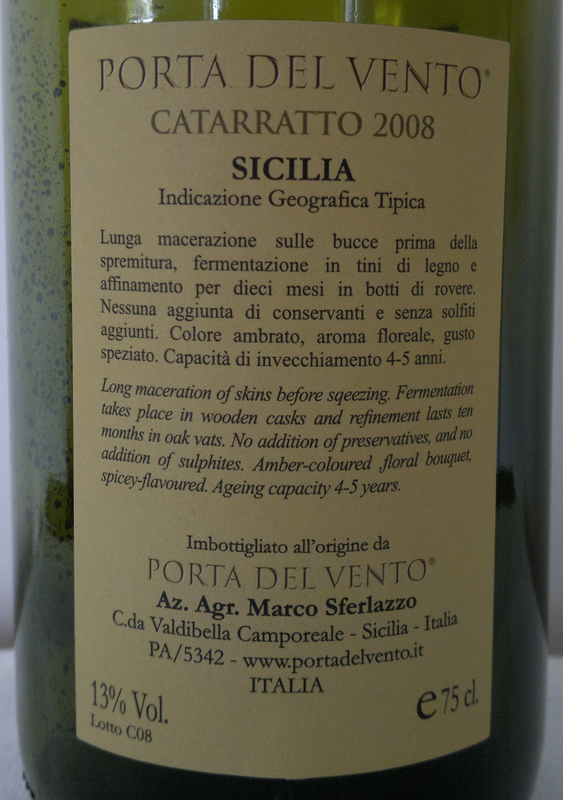 Palate: I have tasted many skin-macerated whites and knew what to expect: a fruity, yet bone-dry wine. 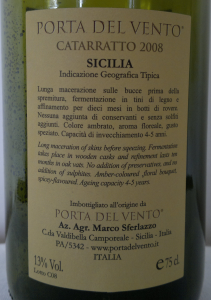 What I didn’t expect (and always surprises me with this wine) is the tannic structure. Owing to the long skin-contact and 10-12 months in oak barrels, this wine packs a tannic punch making it a perfect match for fatty foods such as Fois Gras, duck and some creamy cheeses. I have also had success serving this with savory dishes like mushroom soup. Very spicy (cardomom, cinammon and ginger) with the usual yellow fruits like apricots and peaches. A semi-long and dry finish round out the wine nicely. I like the wines of Porta del Vento and have tasted almost the entire product line. The prices are fair as well. 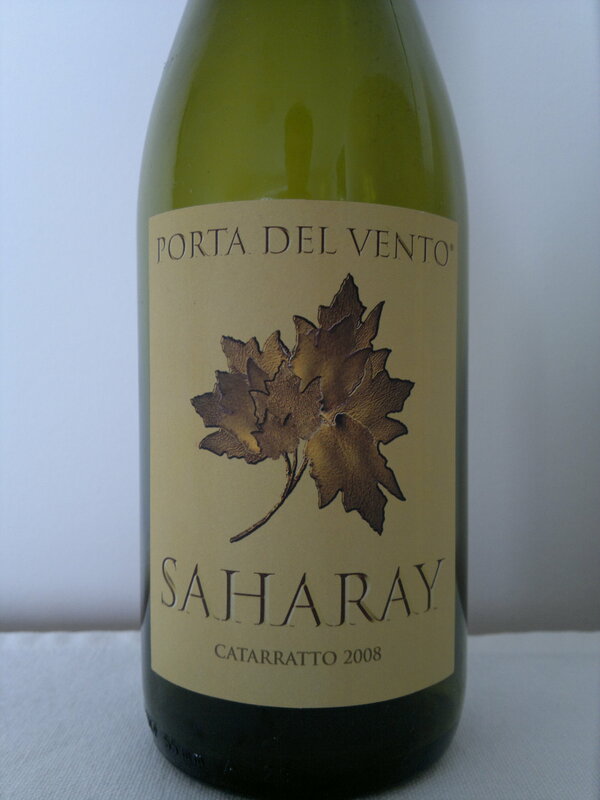 The Saharay I especially like because of it’s masculinity, a trait I don’t often find in skin-macerated whites making this wine more interesting to me. But I also have to point out a negative characteristic of the Porta del Vento wines I have tasted. As far as I know, all the wines spend some time in oak and leave the mouth with this rather disturbing dryness. A dryness that can be attributed not only to the fruit, but to the oak. Oak is certainly not dominant in their wines, in fact I would say that the oak is used judicially (it doesn’t “flavor” the wine). 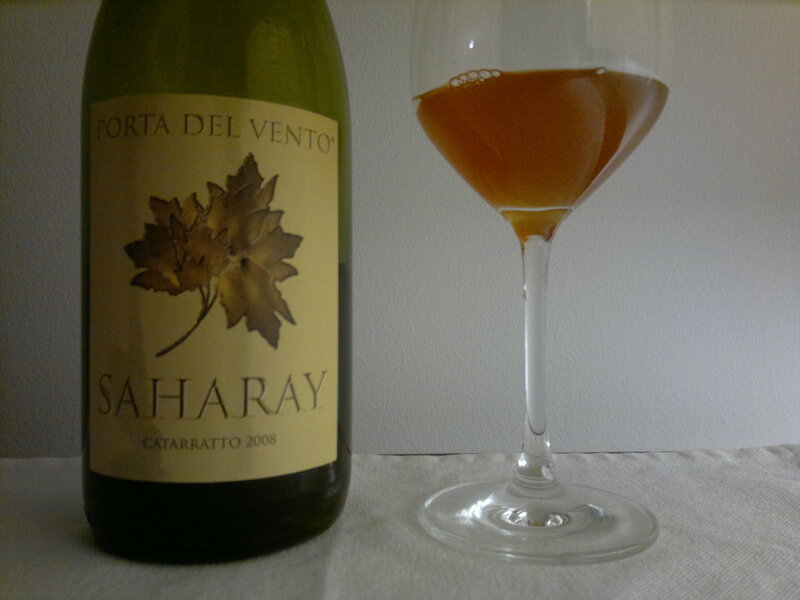 I just prefer to have no oak in my wines letting the fruit shine through without any interruption, especially in wines that have such fresh fruit character, like the wines of Porta del Vento. The other complaint I have is that these wines should be drunk up the night you open the bottle. Two or three days open and I find that the wines oxidize.